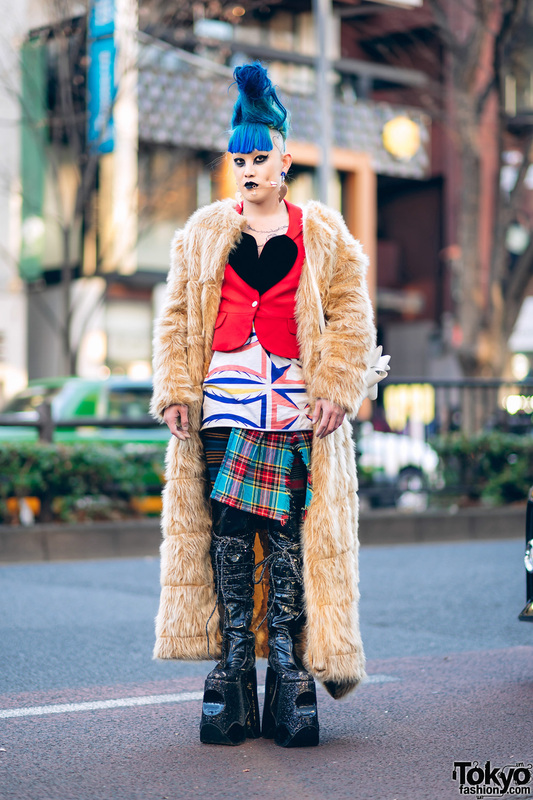 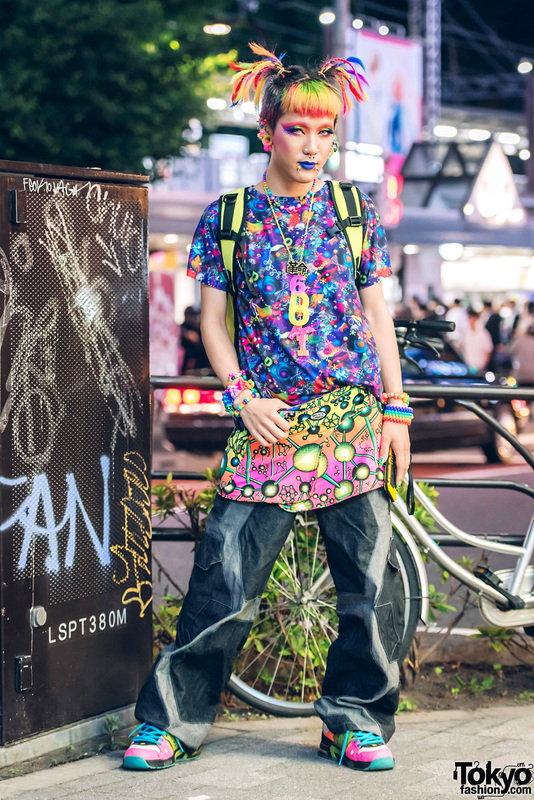 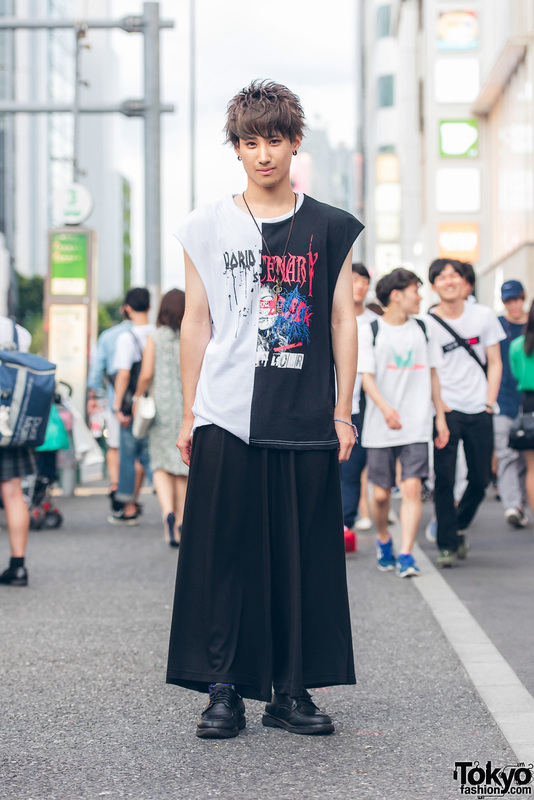 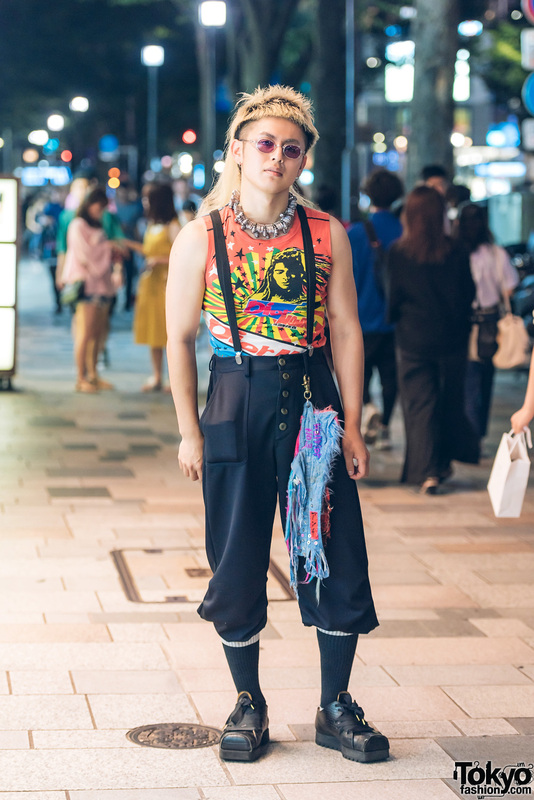 Harajuku guy in streetwear style wearing a studded jacket over printed t-shirt, teal pants, printed sneakers and a drawstring bucket bag. 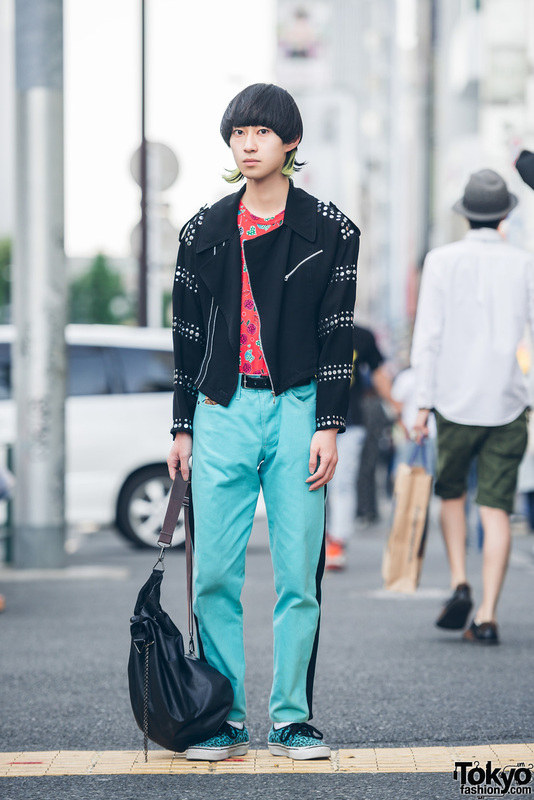 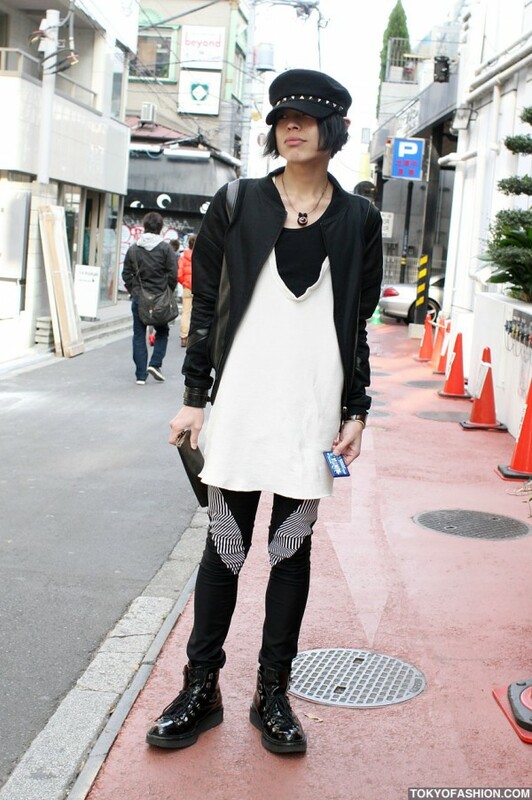 Very stylish Japanese guy in a Banal Chic Bizarre jacket and skinny Achievers pants in Harajuku. 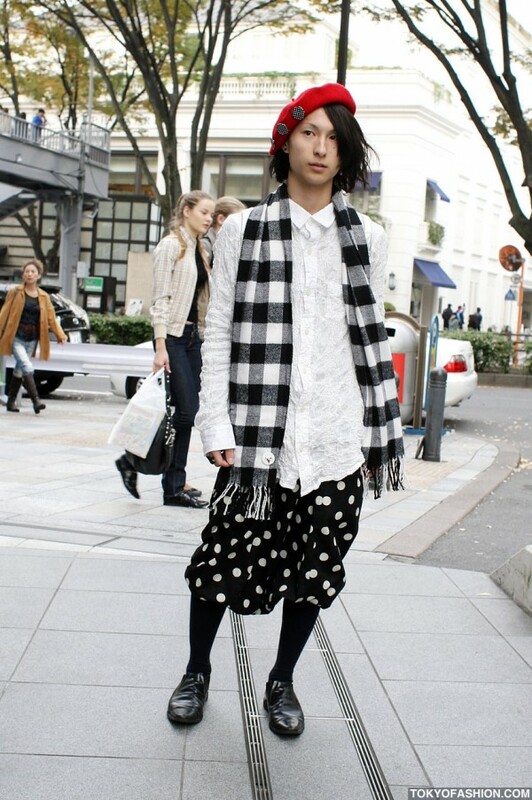 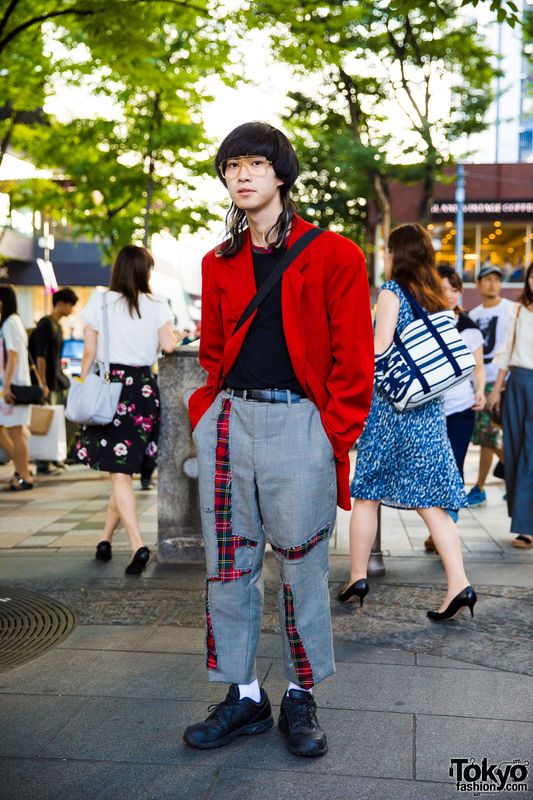 A stylish Japanese guy wearing a plaid, polka dots, a red beret, and a silver backpack in Harajuku.